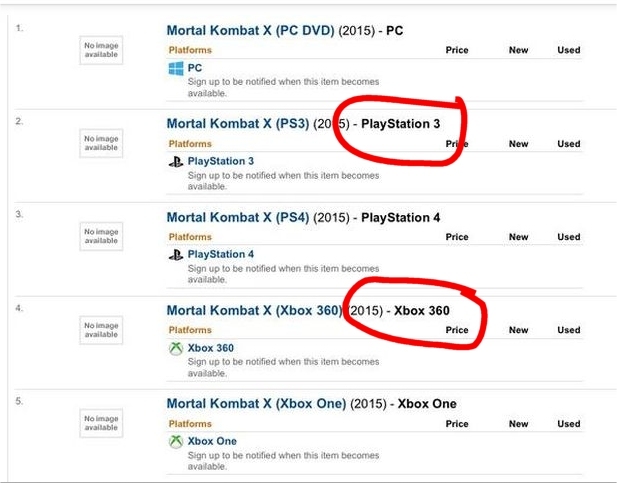 Ed Boon wasn't lying about that announcement for Mortal Kombat. The Netherrealm Studios head honcho (partially) delivered some exciting new footage of Mortal Kombat X, showcasing a bloody and deadly showdown between Sub-Zero and Scorpion. The only problem is that there's very little information to relish in outside of the new teaser trailer. Just a few days ago Ed Boon revealed on Twitter that a brand new announcement was inbound for Mortal Kombat X. Very little else was let loose about the game, but today we get our first glimpse at a teaser trailer for the new title. Check it out below. There's not much to say... for a couple of reasons. First up, the entire teaser is a CG render, so it's impossible to get too excited when you're looking at what's mostly a target render and not the actual game. Does it mean the actual game won't look like that? It means Netherrealm will likely try to get the game to look like that but may run into 792p roadblocks. Next, the whole rap thing – is that supposed to be a hint at the game's soundtrack? Or is it just to be hip and cool? I'm a bit out of the loop on how marketers do teaser announcements for full announcements. I can't remember if everything in the pre-teaser announcement is a subliminal hint at something larger or just there to be cool. Lastly, we have no idea what the final platforms will be. While Xbox One and PS4 owners are obviously expecting to get the goods, there's some trouble a-brewing in the e-tail marketplace as Mortal Kombat X was spotted on Amazon UK, as reported by GamingBolt. So what's so bad about being spotted on Amazon UK? Nothing, except for the fact that... BAM! That's right, this mofo is a cross-generational title (although I was hoping that it wasn't). Some of you might be wondering what's so bad about a cross-gen game, but the reality is that it means that the game will be gimped to accommodate the geriatric twins. There's no two ways around that. Of course, the gaming industry is all about the dollar bills, and right now the wheelchair-bound seventh-gen twins command the most revenue. Regardless of platform plans, gamers appear to be excited for Mortal Kombat X, scheduled to appear in 2015, and have actually managed to get the game and the new teaser trailer trending on Twitter with the hashtag WhosNext. Following on this teaser announcement that followed Ed Boon's pre-teaser teaser, I'm sure we'll get the full announcement for the E3 announcement soon.